Atmospheric Science juniors and seniors spent Tuesday at the U.S. Army Corps of Engineers Cold Regions Research and Engineering Laboratory (CRREL) in Hanover, NH. 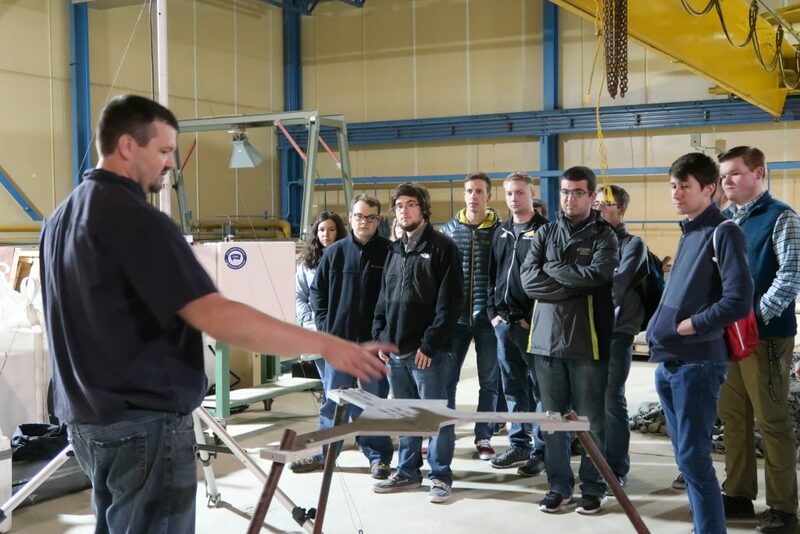 To reinforce concepts introduced in various core Atmospheric Science classes, the group of students watched presentations by CRREL scientists before touring various research areas in the Engineer Research and Development Center. They examined ice cores in the Cold Rooms and explored several other facilities including the Frost Effects Research Facility, the Ice Engineering Facility, and the Field Research Areas. They also learned about various career paths and had the opportunity to network with professionals in the field.